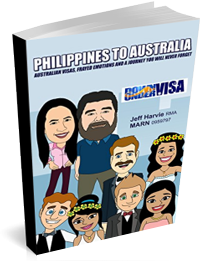 At Down Under Visa we have no problem with whether you wish to marry in Australia or in Philippines. No problems whatsoever. It’s not about us. It’s all about you, as it always is. 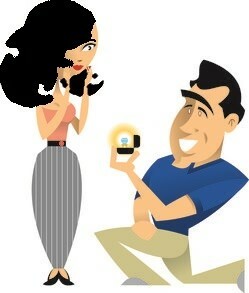 I just did a BLOG post about the advantages of a prospective marriage visa. And whilst yes, we do more prospective marriage visa applications than partner visa applications, we still do plenty of partner visa applications. The Subclass 309 Partner Visa is for those who wish to marry (normally in the Philippines) at the beginning of the process. They either come to us when they are already married, or when they intend to marrying during the normal time that a partner visa application is processed. At the moment they are taking an average of 9 months. Which means if you intend marrying in about then next 6 months or so, yes this is ideal. Just understand that they won’t grant the visa until the marriage takes place. Major issue in OUR view is the issue of free time! How much do you have? How much time off work can you take? Why do I ask? Because to marry in the Philippines without giving yourself some sort of stress-disorder will take you 3 – 4 weeks! Can you spare that much time? If not, then don’t do it! Why 3 – 4 weeks? You need to do umpteen different things to get a wedding done. A certificate of No Impediment to Marriage from the Australian Embassy first. 10 days to organise a marriage license at the local City Hall. A seminar on birth control (in Tagalog) to attend. Yes, I’m serious! Organising the celebrant, which is either a judge or a priest at the Church. “Marriage Celebrants” like they have in Australia don’t exist. If it’s a Church wedding, you have at least one pre cana seminar to attend. Sometimes several. If this is in the province somewhere, this might mean a few pigs get knocked on the head and mountains of rice is cooked. If in the city, it probably means a reception place and caterers. If in the city, it means a fairly set number of guests. If in the province, it means half the town will just turn up. And in most cases it means that various aunties, cousins, etc will pretty much take over organising everything. You probably won’t have much of an idea what is actually happening, and just need to do as you’re told. It will be chaotic by western standards. It will be noisy and crowded, and you will be swept along in it all. The ceremony will have strange things like coins, chords, doves being released maybe. You may well arrive in a jeepney or even a tricycle. Of course this will suit your bride-to-be, and it will make her family very happy. This is one of the huge plusses. It means a great deal to all of them. But you need to ask yourself whether it will suit you or not! Some people absolutely love it! Others? Even with enough time, they still find it less than desirable. It really depends on your personality. So, consider TIME and your OWN PERSONALITY (patience, sense of humour, need to be in control), and make a decision and let us know. Happy to help you no matter what you decide. Yes it is total chaos, but if you love your woman then it is worth it. 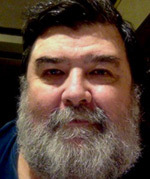 My Wife and I decided the most important thing was the sub class 309 (partner Visa), so she could get here to oz asap.We had a civil marriage in city hall, with the judge there. Ok, it cost us 12,000php for the service, but everything was done for us, even the submission and collection of paperwork to and from the Nation Statistics Office, (N.S.O.). As far as the marriage reception/ celebration was concerned, we said to each other, let’s do it later. Once you are in Australia we can then plan and prepare financially for it and come back to the Phils just for the purpose of the celebration for the family. This has saved us a lot of money and let us spend our limited funds on the most important things like the visa etc. Also when we come back for the celebration, it will be that, and that only that we have on our minds and not all the visa and other stuff to worry about at the same time. We MADE her family understand—–We hope. I found your short article a little confusing actually; sorry, no offense meant. you married in Australia or The Philippines? And in what ways did you save money? You can apply for a partner visa based on a de facto relationship IF you are now in a de facto relationship with your new partner for 12 months or more. 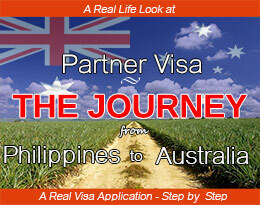 A partner visa, Rachelle. Either onshore or offshore. Please complete our online visa assessment form, and I’m sure we can help you. Mark, she wouldn’t even get on a plane at this stage. 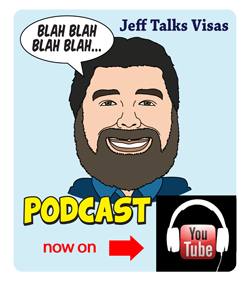 We can help you with a partner visa, but pre-birth? You’ve waited too long, from the sound of things. I have been looking at all the responses from people you have accommodated for visas on u tube and all seem extremely happy. I have recently returned from Cebu and its my third time since Jan 1st to April 1st 2017, obviously there is a reason, yes a female which i have known for a little over 3 months, i know its not a long time but its better than a week like some. 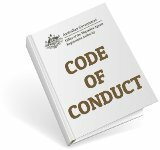 My question is what is the best way to bring a philippino girlfriend permanently to australia without marriage, reason is i have already done that once for 23yrs and was very expensive, such as courts, dividing assets, dissolving companies etc. I have also applied for a visitor visa in the meantime. I feel confident that you may help me. Entirely up to you, John. 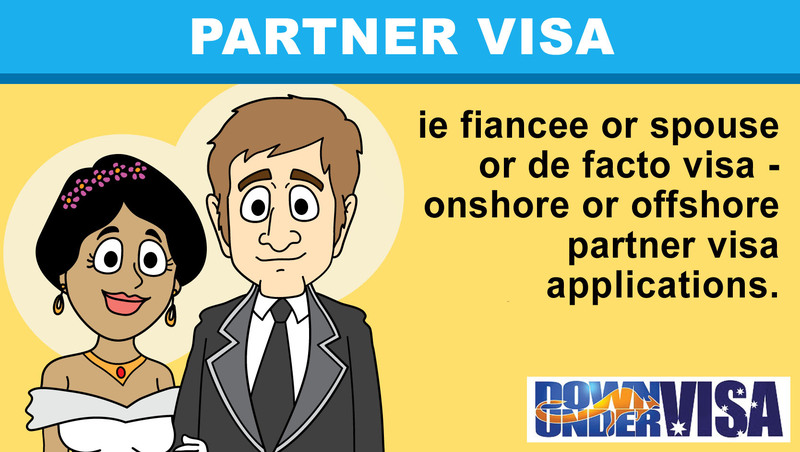 Just note you need to be in an existing de facto relationship to apply for a partner visa. You can’t apply in order to start one. 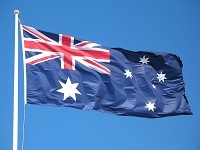 Suggest you complete the online visa assessment form and lets see if we can help you. I am married last July 2015 in Australia and I’m still in the Philippines? What can we do to apply for visa for me to be with my husband? As its so hard to be incomplete as a family. I married him not to be far from him. I hope you can help us. Hi, Im on my Tourist Visa now and I’m in Sydney with my boyfriend. Our relationship is almost 3 years now and we’re planning to apply for defacto Visa. Is that possible to another visa even my tourist visa is multiple entry and will expire on Sept 2018? 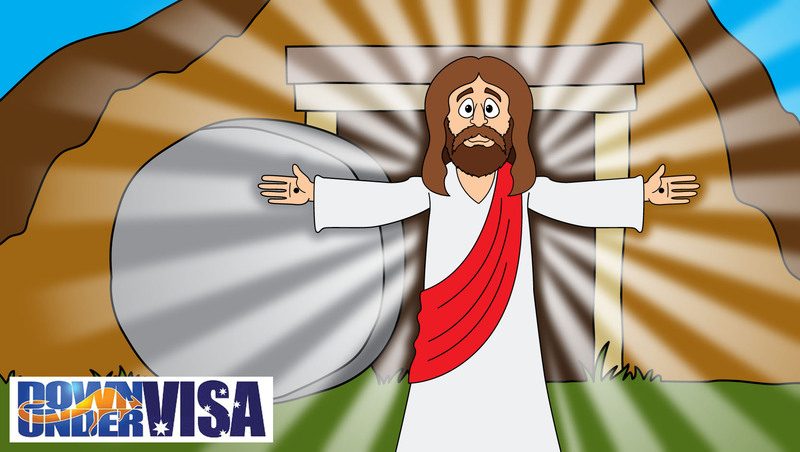 If you qualify to apply for a partner visa, yes you can. 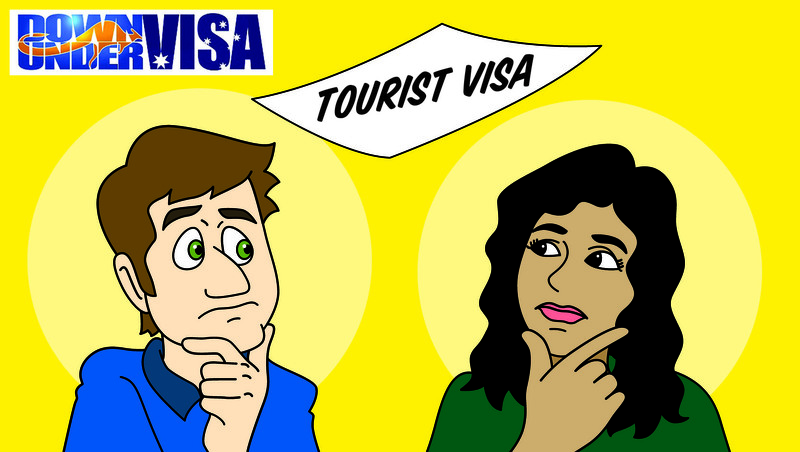 But why ask about another tourist visa if that’s the case? 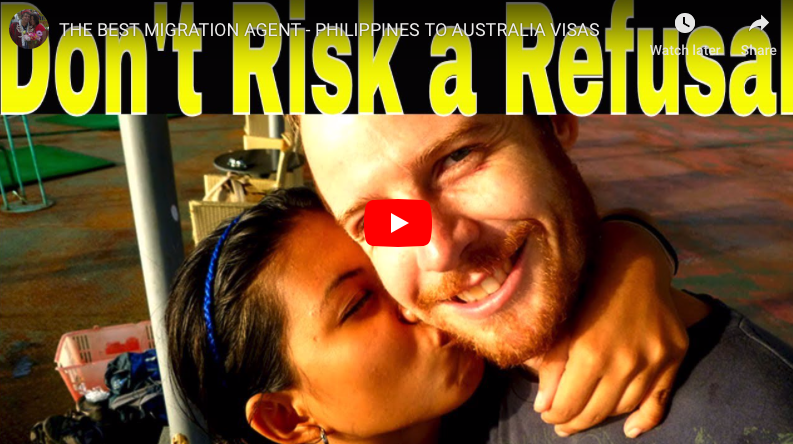 im a filipina australian citizen and getting married with my fiancee on march 2018 . we are planning to lodge the partner visa offshore online after the wedding. Just want to ask how long will it take for the temporary visa 301?300? to be approved? Get some help, Marj. (a) No such thing as a temporary visa 301, (b) A Subclass 300 is a Prospective Marriage Visa for those who aren’t married yet. Suggest you complete one of our free visa assessment forms. Hello, we just get married last jan. 25 with my australian husband , wanna ask what visa should i apply for to make it for me to get there in Australia and what are d papers needed to process. Thanks! I’m not going to tell you how to lodge your own visa application, sorry. 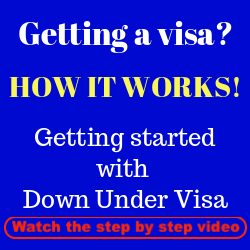 If you would like help, please use our free visa assessment form on our Down Under Visa website. 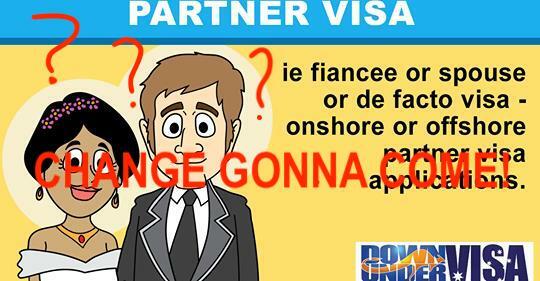 What is the cost for partner visa. My son and his filipino partner have been together for 2 years and now have a 1 year old son. He wants to bring them here to australia, as hes always flying back and forth for work here. What are their chances money is tight so they need assurance it will happen. You should complete the free online visa assessment form on our website, Vicki. I can explain costs to you after that. And I can’t offer your son a guarantee, as the outcome is not in my hands.